I have to give it up to whoever is booking for the Wexner Center this fall, because the lineup for their Next@Wex series is one of the best they've ever put together. Not only is Wilco playing the Wexner's Mershon Auditorium in October, but there are three other bands coming to the arts center that I'm very excited about seeing. Next up is a group from Canada who I have only just started listening to, but have taken an instant liking to. 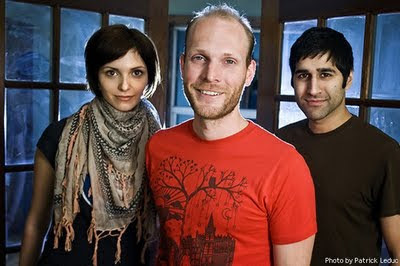 They're called the Rural Alberta Advantage, and their debut record Hometowns was recently released here in the US on Saddle Creek records. I'm not even sure how to describe them without comparing them to a plethora of other bands, and likely still not giving any clear idea of their sound. They'll be playing a Black Box show at the Wex on September 27, so I highly recommend checking them out for yourself. 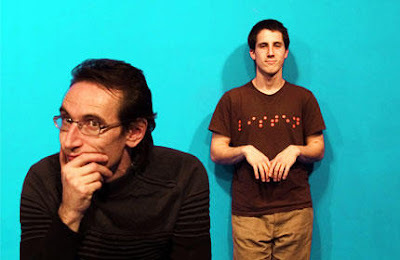 Finishing off the Wex's fine Fall line-up is a rare appearance from the British electronic duo Broadcast on October 25. The pair will be touring in support of a new EP, their first new recorded work in almost four years, which will be dropping on October 13 via Warp Records here in the US. 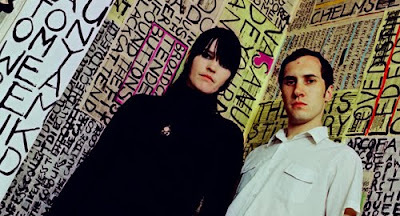 To me, these guys kind of fit into the same category as Stereolab, although I do seem to remember discovering both groups at the same time, so my judgment might be slightly skewed. Regardless, they'll an interesting group to see live since I'm not really familiar with what their live shows are typically like. Hope to see some of you at the Wex at all of these great shows!